"Eight Years Ago I Began Living On A Narrowboat Out Of Desperation – Here’s What I’ve Learned Since..."
My name is Paul Smith, and I live on a narrowboat. I wake up every morning to the calls of coots, moorhens, mallards and swans. Sometimes the swans swim right up and tap on my windows or poke their heads through my side hatch for a bit of my morning toast. When I look out, I see swans gliding effortlessly on top of the water, and slight ripples from fish snatching insects right from the surface. The gentle swish of the waves slapping against the hull of the boat and the cool wind sweeping along the canal are now familiar companions. That's me relaxing after a hard day's cruising! I spend my days exploring two thousand miles of connected canals and rivers on England and Wales connected waterways. No rush hour. No early morning commute. No smoke and smog and misery. Just me, my boat, and nature. Well, let’s just say I can’t imagine living any other way. In 2010, I was in dire straits. I did it because I had nowhere else to go! "The Information I Was Looking For Didn’t Exist!" But all the information I did manage to find was disjointed, broken, and conflicting. Never mind finding it in one place… it was like trying to put together a puzzle that just didn’t fit! So if you’re considering a life afloat, then you need to read what I’m about to say next. I say that because just by reading what I’m about to tell you, you’ll avoid the number one mistake that almost ALL narrowboat owners make when they’re first starting out. "I wish someone had told me all that when I was just starting out!" But before I show you what that is, let me tell a little story of what happens when you don’t avoid this mistake… I had thought, like many people, that living on a boat would be cheaper than living on land. It can be… but only if you know what you’re doing. In those first few months, I had already run out of coal, gas, and electricity more than once. That’s what happens when you don’t know how long things last, or how much things should cost. But the worst had to be the winter of 2010/2011. Six months earlier, I had moved what meagre possessions I had on to the 6’10” wide cabin of my neglected narrowboat. 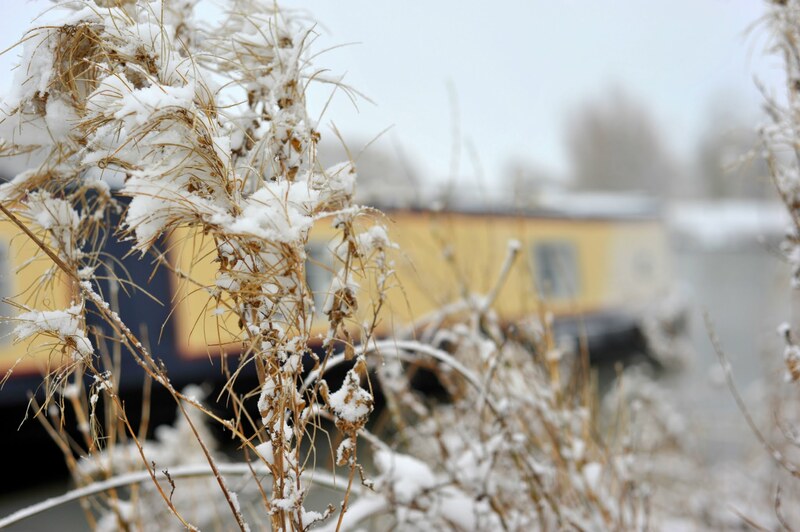 I had no idea how cold it could get on a steel-hulled narrowboat floating on icy water. …Did I mention that my heating system was partially broken during this time and that there were so many holes in my roof that I used buckets to collect water inside the boat every time there was more than a gentle shower? I would often wake up with the INSIDE of the engine room coated in a solid quarter inch of ice. The temperature in my bedroom was minus four one morning. I had several people who knew a great deal about boating help me with both money and experience…But most people won’t have those opportunities. I’ve lost count of the number of new boat owners I've met who buy a cheap boat that they can’t afford to repair or refurbish. Who don’t understand the license and mooring fees. Who don’t understand the regulations that govern the waterways. They go into it blind. And what living on a narrowboat is really like! That means that many new owners get the wrong kinds of boats, improperly plan their budget, or hate the lifestyle once they find out what it’s really like. After a few years, I eventually learned all you need to know about running and living on a narrowboat… the hard way. And I’ve made just about every mistake you can make along the way. Running out of gas, electricity, coal, and water during the coldest winter in recorded history. Sometimes I’m surprised I survived it at all - I definitely wouldn’t have imagined the life I’m living today! But I did get through it. And I learned. Not only that, but through it all I kept records of every single expense… and I’m going to share it all with you. In 2010 I started living on a narrowboat without knowing a single thing about the lifestyle... but there is no reason you should have to. Today, the internet is still woefully lacking in good information about how to live on a narrowboat and what to expect. But they don’t tell you the details… and you’ll find that the details are what matter most. That’s why I decided to put everything you need to know about living on a narrowboat in one place. I've created a package that contains almost everything you’ll need to know about living on a narrowboat comfortably. It’s filled with all the information I wished I could’ve had when I was starting out. 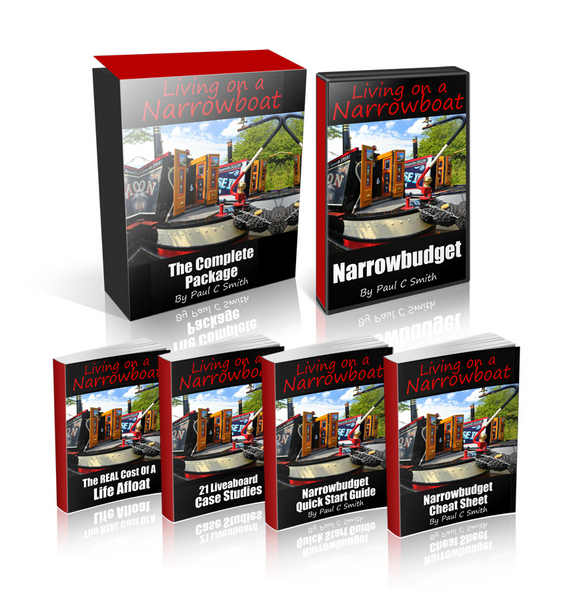 This comprehensive eBook shows you everything you need to know about the costs of living on a narrowboat, and help you properly plan your budget. This information-packed 185-page eBook features case studies from over 20 real-life narrowboaters with a combined 100+ years of experience on the water. It’s the good, the bad, and the ugly with zero editing, and ideal to figuring out if you’d enjoy a liveaboard lifestyle. All this, yours for just £19.97. Click the button below to get this package now – you won’t find a deal this good anywhere else. I’m not asking you to take a leap of faith… I know that you’ll be completely satisfied with the Narrowbudget Gold. I know because the people who’ve bought it almost always are. Firstly, I'd like to thank you for putting this information together. I had already spent a lot of time researching on the internet and was much relieved when I found that you had already done all the hard work! Also, I really like your style of writing, it comes across a honest and it feels like you really want to help others to make their dreams come true. Good on you. Thank you for this easy to use budget planner. We are in Australia and thinking about living on the UK canals for a couple of years. I have used your application to compare what it cost for us to cruise in Australia ( we have a 40 foot yacht) with the cost of cruising the UK canals. It is a great product and a great help in deciding cost and finance for a narrowboat and whether to cruise full time or look for a residential mooring. Just wanted to say thanks for the work you put into these guides. I'm investigating various living/lifestyle options at the moment due to life-changes - mostly age catching up to me with a bang, and your guides are extremely insightful, humorous and a delight to read. Even if I don't end up living on a narrow-boat I will still consider it money well-spent. I enjoyed reading your living on a narrowboat (aloud to my wife). It is quite rare and refreshing to read your open honesty about your life problems and this is something that struck a chord with me the first time I read your forum entries. It is also amazing how much knowledge you acquired in so short a time. I could have saved myself many hours of research by buying your book first off. “I highly recommend that anyone contemplating life aboard a boat should have a copy of “Living on a Narrowboat: The REAL Cost of a Life Afloat”. It is a very low investment and excellent reference book. There is so much information included – including all the “live” links - that anyone purchasing this eBook could end up saving thousands of pounds before taking the plunge and becoming a proud owner of their own narrowboat. I have been toying with the idea of living on a narrowboat for some years now (I also lost everything post divorce – but that’s a long story) and was holding back partly because I didn’t feel well equipped enough to move forward. Researching online also I’ve found frustrating in that I’ve always felt it was rather like a ‘secret club’ – to live on a boat full time; as the information to what exactly is involved or what you should know, was not desperately clear! Thank you so much for compiling the costs guide. It has been the most useful document I’ve read to date about life on a narrowboat and what to expect. I was directed to your site by a non-boater and purchased your guide. Got to say it’s the most comprehensive piece of information I have come across to date, and what I believe to be a very ‘honest’ bit of work that adds to its credibility. Cheers. This is an extremely useful guide for anyone considering living afloat. The author has covered all of the outlay that you are likely to face in an easy and straight forward manner. I have been considering living on a narrowboat for years but was put off by the unknown. Having read this I am more likely to make the dream come true. if you're not COMPLETELY satisfied! If you’re still hesitating on whether or not to get this package, I understand. £19.97 might not be a lot of money, but it’s still YOUR money. So I’m going to take the risk completely out of the game for you and give you my Iron-clad Guarantee. If you purchase this package and are not completely satisfied for any reason, I will refund your payment immediately, no questions asked. And when I say any reason, I do mean any reason. If you don’t like the font, don’t like how I write, don’t like the picture on the cover, don’t like how fast I get the book to you (it's virtually instant) – just send me a quick e-mail and I’ll refund 100% of your payment as quickly as I can. 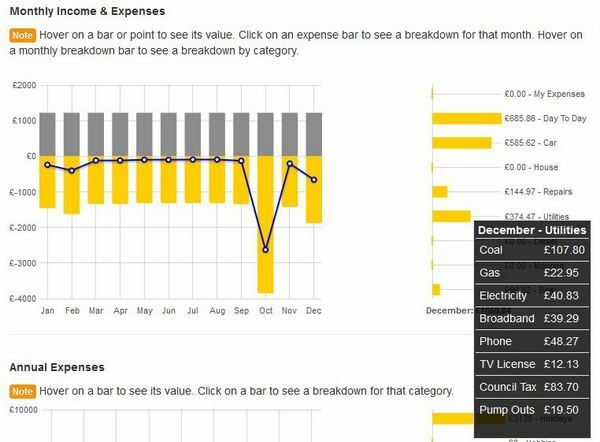 This information cost me over 3 years and thousands of pounds to put together… and you can get it all for the cost of a pint or two. I spend my days in surroundings that many would envy. Graceful trees and reeds spring from the waters around me, filled with vibrant wildlife, and I’m only a few minutes away from some of the most stunning natural sights in the country. I live a life I could only have dreamed about a few short years ago. It doesn’t just have to be a dream. You just need to take that first step. For years I've sent an information packed newsletter to over 5,000 subscribers. Almost daily I get emails telling me how useful the newsletters are to both new and existing boat owners. I'm delighted to receive those emails because each newsletter is a labour of love. Each issue takes me between five and ten hours to write and draws from my own experience of living on board and the extensive knowledge of the fitters and engineers I've worked with since 2010. I've compiled thirty eight newsletters from a full year into a unique 209 page guide. The guide is available to you exclusively on this page as a bonus. I'll be quite frank with you, I don't really want to give this guide away, but a marketing "guru" has told me that you're more likely to invest in this package if I give you something for free. Maybe he's right but, much as I want you know as much as possible before you buy a boat, I'm not keen on giving away something which has taken me hundreds of hours to write and days and days to compile into a guide. We reached a compromise. The guide is yours, completely free of charge, as a thank you for investing in my pakage. After that - I don't know when - I'll offer the guide for sale elsewhere on the site. The guide gives you an insight into life afloat throughout the year. 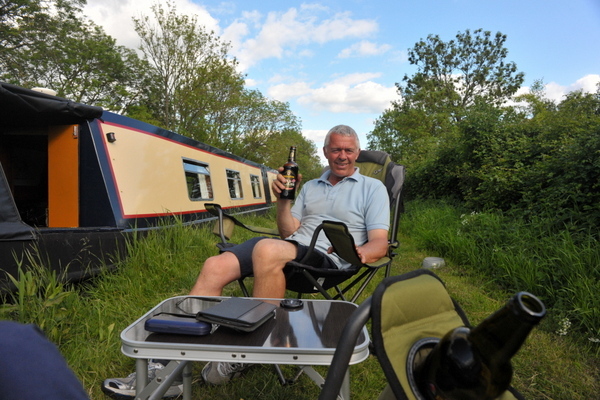 The newsletter contents are always appropriate for the time of year when they're sent out so you'll get a feel for the highs and lows of narrowboat life as the year progresses from the practicalities of spending days and nights on board a steel boat frozen solid in the ice to the joy of a summer's eve spent relaxing, beer in hand, in a comfy chair on the canal bank. There's a huge amount of information in the guide. Two hundred and nine pages of essential narrowboat information is yours for free when you order your Narrowbudget Gold package. All this, for just £19.97. upon it as one of the best choices you’ve ever made. P.S. If you have any doubt whatsoever about the usefulness of what you’ll get, I encourage you to check out the forums on my website, or to e-mail me directly, I’ll be happy to answer any questions you have.